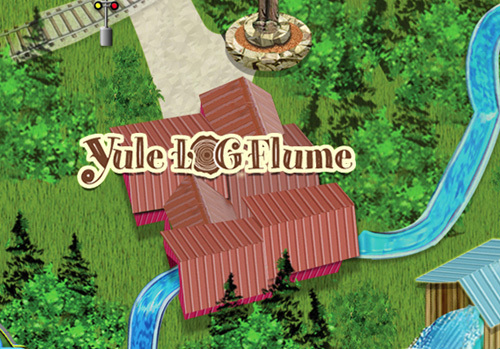 Ride in a log boat through the winding Yule Forest. There are obstacles ahead as you’ll climb the logging ramp that’ll bring you up high to the North Station. Yes, you will get just a little wet as you plunge into splash mode. Expecting moms and guests with back problems should not ride. Please use discretion before boarding a child as the flume is steep and can be frightening. Children must be at least 36″ tall to ride with a responsible companion of at least age 16. MINIMUM HEIGHT 48″ AND MINIMUM AGE 16 TO RIDE ALONE.